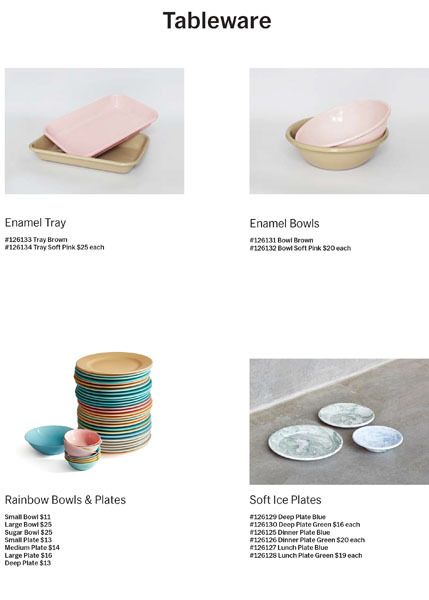 The MoMA Design Store announced an exclusive partnership with Danish design firm HAY, to introduce HAY KITCHEN MARKET, a collection of essentials for the kitchen, launching on August 22, 2017.
creative director of HAY Accessories, enlisted Danish chef and restaurateur Frederik Bille Brahe to help hand-select the most fundamental accessories for today’s kitchen. After opening a café with Frederik at the 2016 Milan Design Week, they were inspired to analyze and define what aspects create a useful and yet intriguing kitchen. 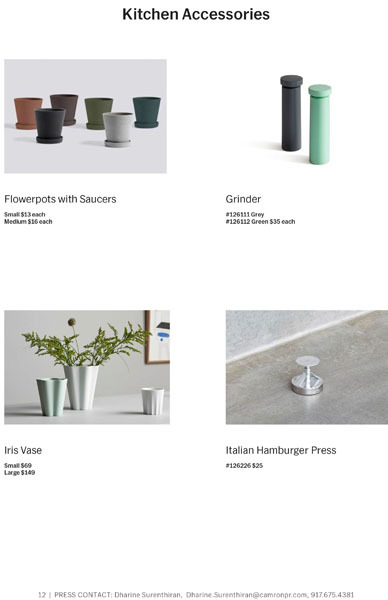 Through their mutual dedication to quality and design, HAY KITCHEN MARKET offers a special selection of kitchen accessories, while providing a platform for skilled designers – all featured at the MoMA Design Store. presents products readily available from around the world, such as handmade glasses from Morocco, water pitchers from India, and sponges from Japan, everything has been reinvented, repurposed, or skillfully curated for the collection. Mette and Frederik’s attention to quality and design has produced a collection that caters towards function and relevance for people of all ages. 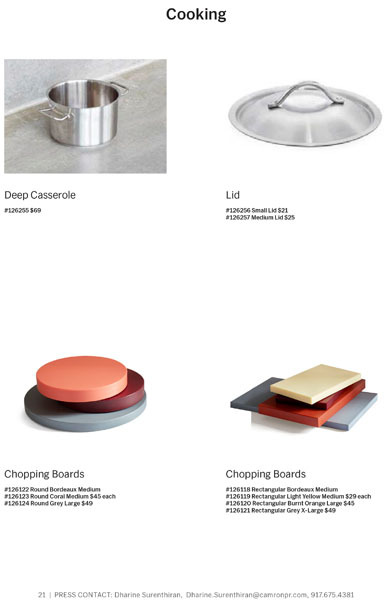 The HAY KITCHEN MARKET provides a wide selection of kitchenware, including everyday pieces such as pots, pans, grinders, cutting boards and peelers, as well as plates, cups, glasses, and cutlery. The collection also features specially selected products designed by HAY, BIG-GAME, Shane Schneck, Clara Von Zweigbergk, Richard Woods, and George Sowden. The considerable selection of textures and colors, coupled with the wide-ranging prices, allows for the individual to create an assortment customize products to their preference.